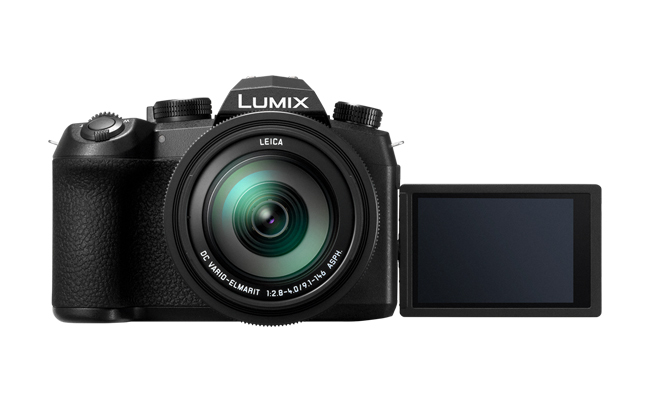 Panasonic has announced the LUMIX FZ1000 II, a new hybrid bridge camera that upgrades the capabilities of the original ground-breaking DMC-FZ1000, with crystal-clear imaging, creative 4K features and responsive shooting. The philosophy of the LUMIX FZ1000 II is to capture stunningly clear images with amazing detail and resolution. The camera features a large 1-inch type 20.1-megapixel High Sensitivity MOS sensor, and a high-quality 16x optical zoom LEICA DC VARIO-ELMARIT lens, with the minimum aperture extended to F11. 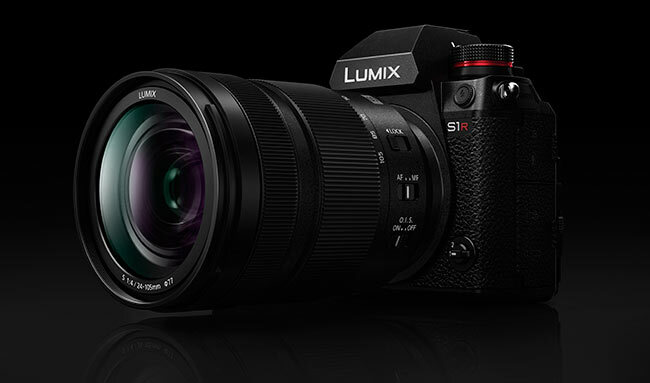 Further expanding the photographer’s scope, the camera captures smooth 4K Video in 3840 x 2160 at 25p, and offers Panasonic’s suite of 4K Photo capabilities. This includes 4K Photo with 4K Pre-burst – as well as Auto Marking, Sequence Composition, Post Focus and Focus Stacking which make 4K Photo even easier to use, in more creative ways. The LUMIX FZ1000 II is also superior in response, to capture the fleeting moment. 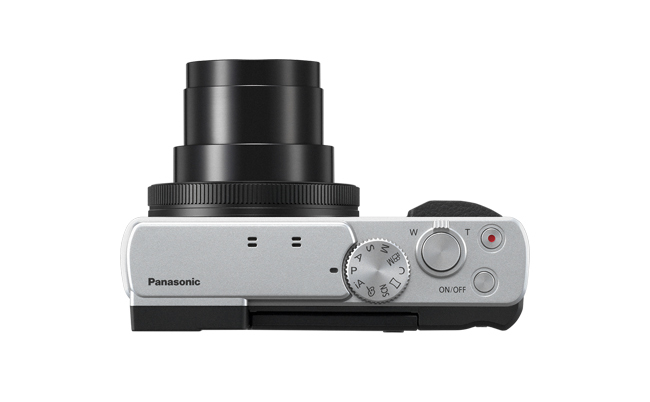 Featuring Panasonic’s DFD (Depth From Defocus[i]) technology, the camera has ultra high-speed auto-focus of approximately 0.09 seconds. 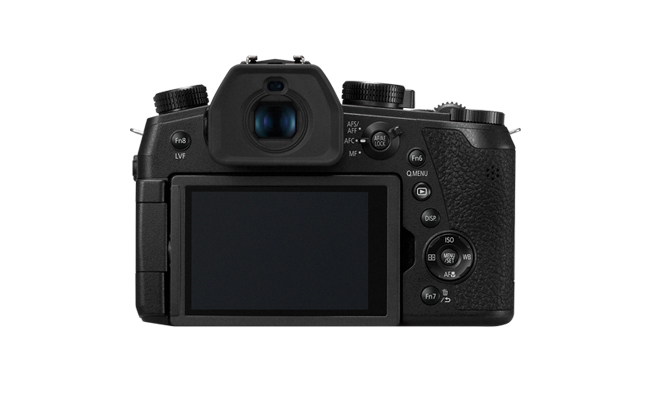 High speed burst shooting is available at up to 12 frames per second (AFS), and 7 fps (AFC) for around 100 JPEG / 26 RAW images. The FZ1000 II has a maximum mechanical shutter speed of 1/4000 second which increases to 1/16000 second when using the electronic shutter. For precise focusing, a new OLED LVF (Live View Finder) offers 2,360k-dot high resolution with approx. 0.74x (35mm camera equiv.) magnification and 100% field of view. The 3.0-inch 1,240k-dot free-angle rear monitor now has touch control so focus can be set and enlarged at the touch of a fingertip. For framing versatility, the monitor rotates 180° to the side and tilts 270° up and down. The menu is also upgraded to enhance ease of use. 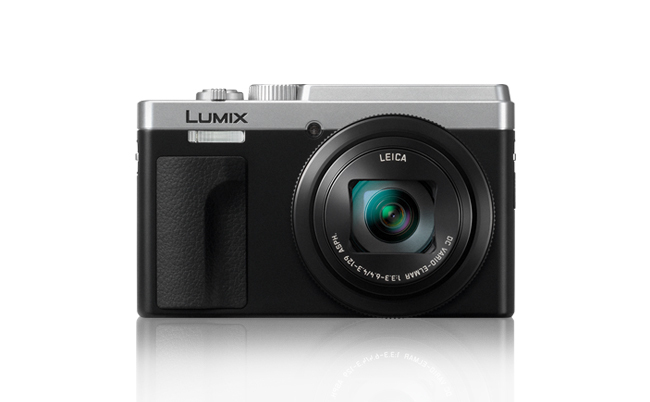 The LUMIX FZ1000 II includes the new Zoom Compose Assist function. When the user loses sight of the subject at high zoom, at a press of the dedicated button, Zoom Compose Assist zooms out and quickly retargets the subject at the original zoom ratio. Images can be shared in the field with smartphones, using Bluetooth 4.2 Low Energy connection and Wi-Fi®, and the FZ1000 II offers convenient USB charging. 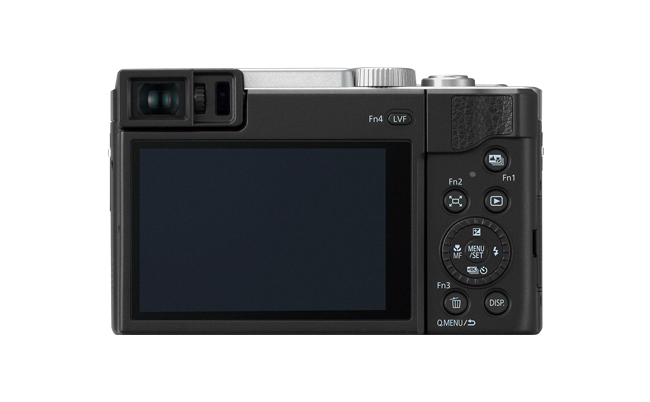 The FZ1000 II is priced at $1399rrp and will be available in Australia in April 2019 from photographic specialists and consumer electronics retailers. 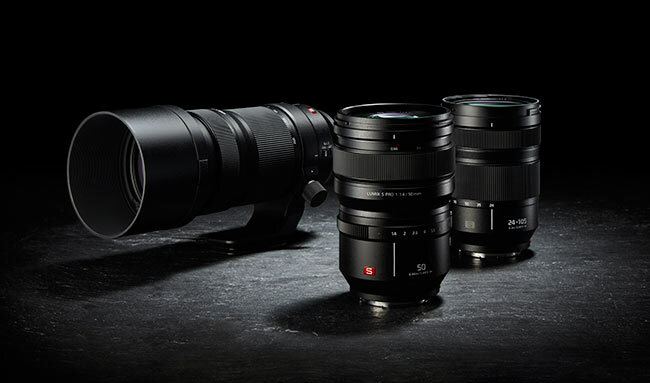 The LEICA DC VARIO-ELMARIT lens system (F2.8-F4.0 aperture) with 16x optical zoom (the 35mm equivalent of 25-400mm) is comprised of 15 elements in 11 groups, including four ED lenses and five aspherical lenses with eight aspherical surfaces, resulting in a high MTF value. Five aspherical glass lenses enable the camera to achieve beautiful, smooth defocus with an invisible edge line. This first lens group located at the front consists of four lenses to minimise chromatic aberration, especially at the tele-end. The minimum aperture is extended from F8.0 (FZ1000) to F11, achieving F2.8-F11 at the wide end and F4.0-F11 at the tele end. The 5-axis Hybrid O.I.S (Optical Image Stabilisation) compensates for hand-shake. The camera incorporates a 1-inch High Sensitivity MOS sensor with 20.1-megapixel resolution. This large sensor results in a dramatic reduction of noise, even when shooting at ISO 12,800. The Venus Engine quad-core image processor supports this with technologies designed for a stunning imaging result. Excellent noise reduction and detail processing achieve a maximum ISO 25,600 (Extended), the aperture filter adjusts sharpness according to the frequency level to preserve fine detail, each colour is precisely evaluated, and gradation is smooth and natural. The high-resolution LVF offers an eyepoint of around 20mm, so it’s comfortable and effective to use for glasses-wearers. The camera’s front/rear dual dial system enables direct setting of shutter speed and aperture. Frequently-used functions can be assigned to a total of 13 Fn buttons including three new buttons on the lens barrel and five on the touch control menu. 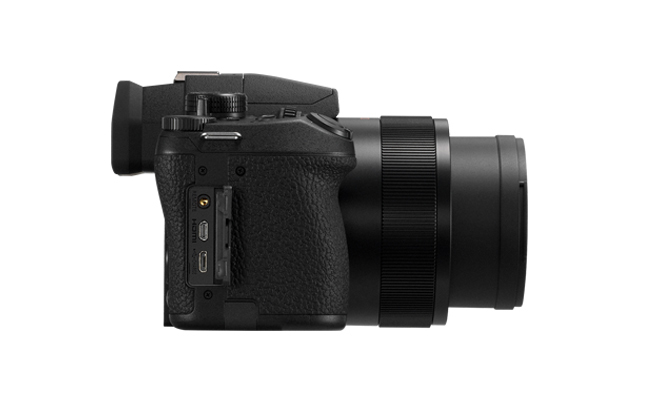 The FZ1000 II backs its excellent imaging with Panasonic’s 4K suite. Panasonic has made it easier to select the best shot from hundreds on a reel with Auto Marking, which highlights images that contain movement or faces. In addition, the in-camera Sequence Composition function allows a sequence of images to be shown within one shot – for example the trajectory of a motorbike jump, the arc of a diver leaving the board, or the movement of a dancer. Other 4K capabilities include 4K Photo with 4K Pre-burst mode which shoots 30 frames per second before and after the shutter is released. Post Focus mode allows the user to choose the focal point of an image after the shot has been taken, while Focus Stacking combines focal points to achieve complete foreground to background focus. For creative photography that’s reminiscent of classic black and white film, L.Monochrome and L.Monochrome D modes in Photo Style make it possible to shoot dynamic black and white photos with emphasised highlights and shadows, while keeping detail. The grain effect can be adjusted between High/Standard/Low for more creative shooting. Bracketing modes available include focus, aperture, exposure and white balance bracketing. Focus bracketing allows the user to capture up to 999 shots at different focus points with just one shutter press – ideal for shooters who want maximum image quality and the ability to stack focus in post-production. With aperture bracketing, at a single press, photographers can quickly capture multiple shots at varying depth of field. The camera has a battery life of around 440[ii] shots per charge, and the new eco 30 fps mode ensures that users can shoot up to around 430 images when using the LVF. 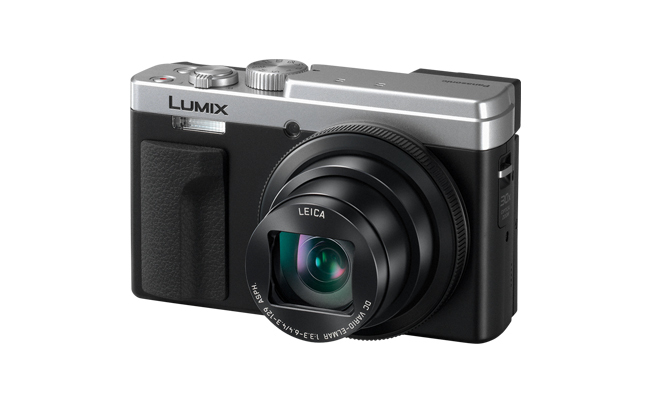 Panasonic Australia has introduced the LUMIX TZ95 ‘Travel Zoom’ digital camera, designed to be a handy travel companion whether your journeys take you near or far. The TZ95 boasts a versatile 30x optical zoom with powerful stabilisation built-in; and delivers impressive viewing and framing for every shot with a newly-designed 2.3 million-dot, 0.21-inch Live View Finder (LVF). This pocket-sized powerhouse also includes 4K Video and Photo for impressive creative images, and a flexible 180-degree tiltable rear monitor for selfie shots and group selfies. Panasonic’s TZ Series 4K suite has been expanded on this new model. The in-camera Sequence Composition function allows a sequence of images to be shown within one shot – for example the acrobatics of a gymnast, or the trajectory of a dog leaping for a ball. In addition, Auto Marking makes it easier to select the best shot from hundreds on a reel, highlighting images that contain movement or faces. Conveniently, photographers on the go can streamline sharing of images with smartphones, using Bluetooth 4.2 Low Energy connection and Wi-Fi®. With an always-on connection, images can be geotagged, and your smartphone can be used as a remote control. The TZ95 can be charged on the go via USB cable direct to the camera, anywhere there is a USB power source. 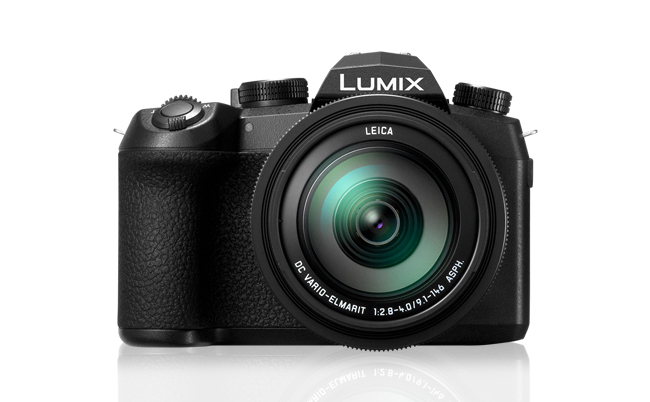 The LUMIX TZ95 is priced at $699rrp and will be available in Australia in April 2019 from photographic specialists and consumer electronics retailers. The TZ95 makes it easy to frame the subject in sharp focus. The new 0.21-inch 2,330K-dot equivalent LVF (Live View Finder) has a high magnification ratio of approximately 0.53x (35mm camera equivalent). The image output between the LVF and the rear monitor switches automatically using the eye sensor on the LVF. 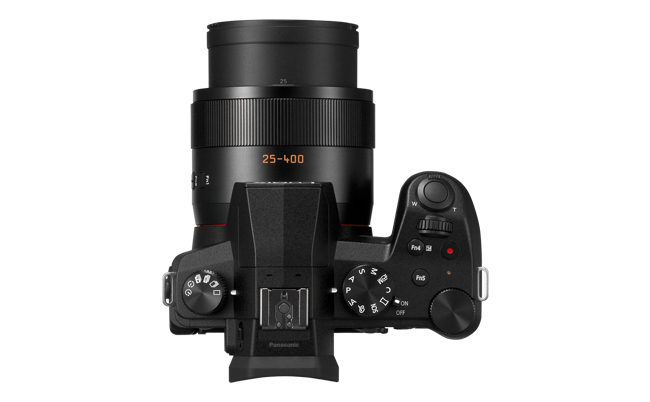 The camera features a 30x zoom LEICA DC VARIO-ELMAR lens (35mm camera equivalent: 24-720mm). The wide zoom is coupled with POWER O.I.S. (Optical Image Stabiliser) to minimise blur, ensuring images are sharp and shake-free. Zoom Compose Assist also helps during telephoto shooting by zooming out if the photographer loses the subject. The 20MP high sensitivity MOS sensor captures the fine detail in every image. The TZ95 uses DFD (Depth From Defocus) technology[i] to minimise focusing time, for a quick autofocus (AF) speed of around 0.1sec[ii]; supports high speed burst shooting at 10 fps (AFS) / 5 fps (AFC) to capture fast moving subjects in crisp detail; and allows more than 26 consecutive shots in RAW. The DC-TZ95 captures smooth 4K Video in 3840 x 2160 at 25p. For still shooting, 4K Photo with 4K Pre-burst mode shoots 30 frames per second before and after the shutter is released to capture the defining shot. The Post Focus feature, once set, allows you to choose the focal point of an image after it’s been taken. You can then use the touchscreen to select the exact area you want to focus on – ideal for macro shots of food. Focus Stacking allows the user to combine focal points to achieve complete foreground to background focus. The camera has a large 3.0-inch 1040k-dot touch monitor that flips up 180 degrees for video blogs or selfies. In addition, Panorama Selfie mode takes advantage of the flip up screen to fit in large groups. Other fun to use features to enhance images include 22 creative filters from ‘High Dynamic’ to ‘Toy Effect’; and a range of Beauty Mode effects for retouching skin or makeup. The camera has a battery life of around 380[iii] shots per charge, and the new eco 30 fps mode ensures that users can shoot up to around 340 images when using the LVF.